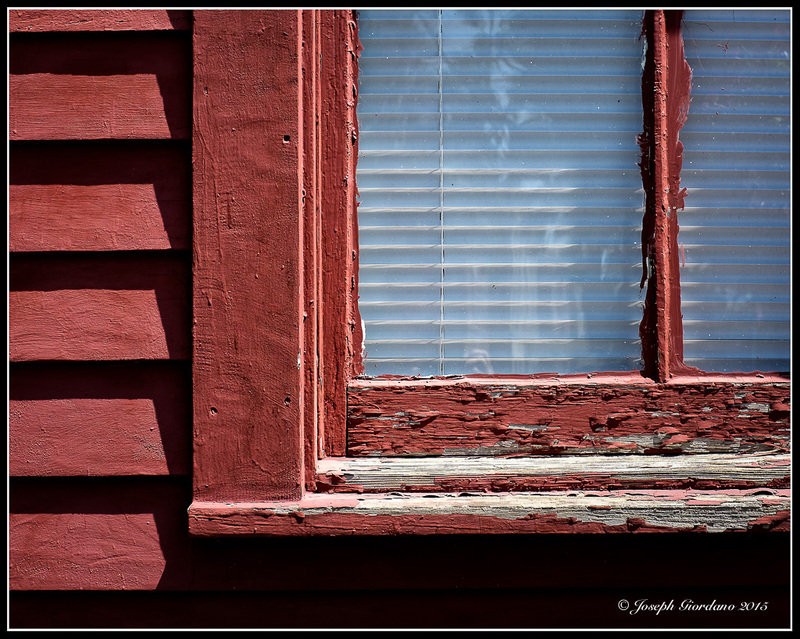 You know I love windows and this is a beauty with it’s color and awesome texture! Love it! Love it, Joe. Like Joanne says, the texture is what makes it. And the sloppy paint job. Sort of like one of my paint jobs. But at least Lynn doesn’t ask me to paint anymore! Thanks Emilio 😀 It’s funny Terry asked me to do a wash one day and when it was done I threw all the clothes in the dryer. Some of her shirts came out like they would fit an eight year old. Funny she never asked me to do a wash again. This is one of your signature photos of textured decay. I’m not sure whether to recommend a paint job or not. It looks like the last paint job was done very badly! !